In recent years, films have begun to move from the theater to our home screens far more quickly. This is largely thanks to the improved streaming options offered by cable providers and the different services, such as Netflix and On Demand, that tend to show brand new movies. This means that the films that are in theaters today will be available in a matter of just a couple of months, if not sooner, for you to watch at home with the click of a button. 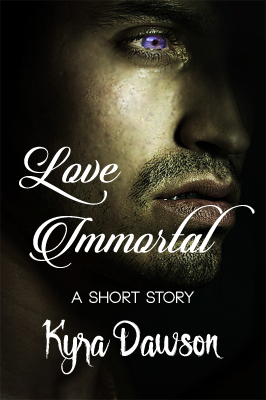 So, with this in mind, here is a brief review of the massive undertaking “Immortals” which is one of the hotter topics in Hollywood right now. “Immortals” director Tarsem Singh gave a rather confident interview not long before the release of his epic action/adventure film, and seemed to be criticizing both “300” and “Clash of the Titans” both of which are inevitably compared to “Immortals”. Singh did acknowledge that were it not for the visual style of “300” his film would not have happened, or at least wouldn’t look the way that it does. However, he also seemed to imply that “300” and “Clash of the Titans” were less mature than his film, and that they were childish versions of the same idea. Singh bluntly supports the realistic nature of his film’s violence and firmly declared that a violent battle scene should look real and horrifying. Singh’s opinions are interesting to consider when actually watching “Immortals” which does indeed set itself apart from its predecessors in certain mature ways. For example, Mickey Rourke, who plays the part of the antagonist in King Hyperion (who seeks to destroy the gods by taking over Greece and releasing the Titans), is horrifyingly quick to violence and should send chills down most audience members’ backs. Additionally, much of the blood and violence in “Immortals” is displayed more vividly than in similarly themed movies from the past. If Singh was shooting for making the “R” version of the epic film, he certainly succeeded. 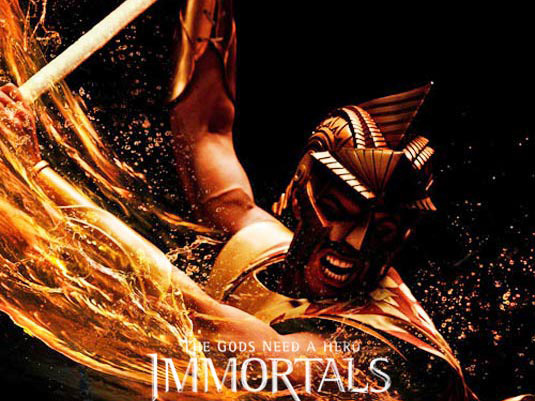 Unfortunately, once you get past visual display and violence, “Immortals” doesn’t have much to offer. 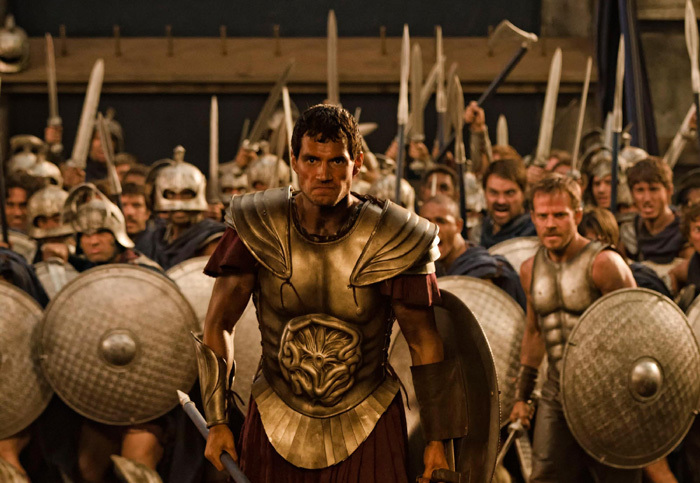 The film is essentially about the journey of Theseus, a young Greek man with elite fighting skill who finds himself leading the resistance to King Hyperion in an effort to avenge his mother and fulfill tasks placed upon him by the gods. There are certainly epic elements to the story, and the interplay between gods and mortals can be very engaging to follow. However, Singh seems to have been so focused on establishing his wonderful visuals that the actual story of his movie was at many points lost in its own epic quality. “Immortals” is entertaining and contains original elements, but lacks the storytelling quality of, say, “300”. action, adventure, ancient history, Buzz!, entertainment, Fantasy, film, Freida Pinto, gods, Greek Mythology, Henry Cavill, heroes, Immortals, King Hyperion, Mickey Rourke, movie reviews, movies, mythology, myths, Stephen Dorff, Theseus, titans, villains. Bookmark. 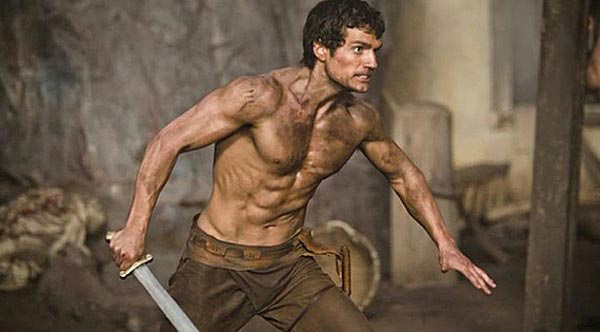 I enjoyed immortals for what it was. I liked it for the action, and for the visual appeal. The lead actor did a pretty good job with what he had to work with, but I felt that the story just didn't come together like I was hoping. But the movie ended up being just what I expected. I went in to the movie expecting to see some good action scenes. After seeing the trailer around ten times or more I knew I would enjoy the action, the slow motion sequences and the visual style in general. My friend told me that the lead actor was actually the boy in the count of monte cristo with jim caviezel. I found that bit of trivia interesting. 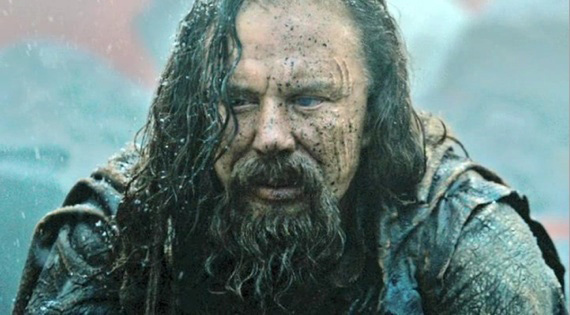 I thought mickey rourke did well in his portrayal as the bad guy but I must admit there wasn't a lot of depth to him(not mickey rourke's fault). He played the ruthless tough bad guy pretty good I thought, with plenty of grunts and gruesome acts. So the build up to his show down with theseyus was pretty fun to watch. But for much of the movie he's sitting around trying to extract information from people or giving orders to underlings. Now the gods from olympus I found very interesting. They have special powers of course and look down on events from mount olympus. In my opinion if the movie focused on the gods and their intervention into human affairs it would make for a much more interesting movie. Especially considering how zeus responds to certain actions that made by others in this movie. In my opinion if you want to see some pretty cool looking action sequences, especially during the end then go see this movie. But be warned this is not an epic war movie in the vain of 300, troy or even something like kingdom of heaven. This movie will slow down, sometimes agonizingly slow. But if you like seeing movies with greek mythology(or greek mythology like elements) than you will probably enjoy this movie. Hopefully someone will come along and build off of the things that immortals and clash of the titans does right, then we will truly be in for something special. I agree with that last comment wholeheartedly. This review reflects the voice of the people, not my own personal view, but I thought it would be interesting to have a point of view of someone other than myself and start a dialogue.